While the story has nothing memorable or thrilling, Mak has the good sense to keep action scenes plentiful – much more than in the previous film. And though some wobbly camera moves, instances of shots re-used within the same fight and occasional clumsy wirework betray the film’s modest budget, there’s still passable fighting on hand, including a touch of novelty for a Wong Fei Hong film, as Vincent Zhao fights a roomful of Sumotori (over too soon), grapples on the floor with a slinky Miya Muqi as the White Lotus’ leader (in another scene, she wields flying cutthroats), and has an extended swordfight with Sawada. The old-school Hong Kong feel of the action scenes is even more pronounced than in the first instalment, with Master Wong treading on flying silk at one point. And the humour is occasionally amusing in an mildly lowbrow way: Leung Foon gets buried under a pile of Sumotori, Bucktooth’s prized gun keeps misfiring pathetically… Wei Xiaohuan, the conflicted henchwoman from the first film, returns and shines again, especially when kicking people, making a good case for better roles in the future. 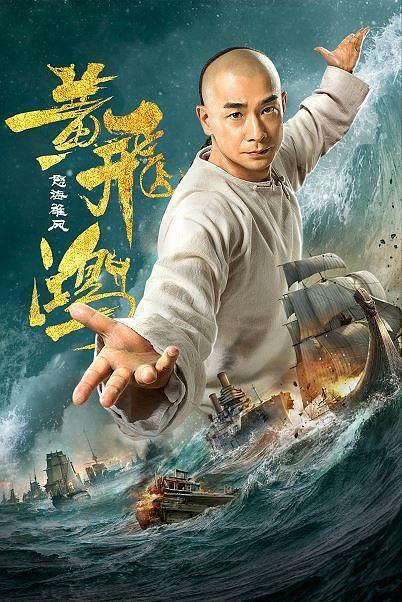 Puzzlingly, the Chinese title translates as “Wrath of the Sea”, and the poster does show a wrathful sea, but there are no such scenes in the film itself.